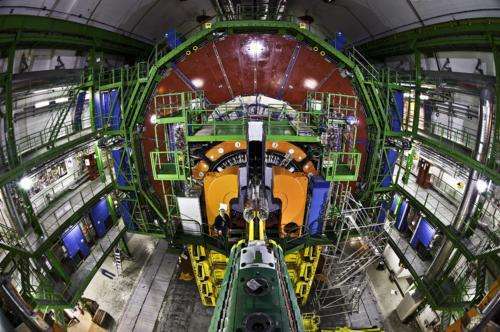 The giant Large Hadron Collider at CERN's lab in Europe may be closed until 2015 but experiments will still be run there in the second half of this year on much smaller synchrotrons that examined the decay of particles into electrons, muons and neutrinos, all of which belong in a family called leptons. So what are leptons? First, let's start with the basics. Electrons have negative electric charge and their mass is small in comparison to that of the nuclei. Nuclei are made up of protons and neutrons. In turn, protons and neutrons are made up of point-like particles called the "up" and "down" quarks. The electron is familiar to everyone. It is directly tied to the chemical properties of almost all atoms. It is the smallest charged particle we know of and is very stable. The electron's antiparticle, the positron, is identical in mass but has a positive charge. It was the first particle of antimatter that was discovered. American physicists Carl Anderson and Seth Neddermeyer were studying cosmic rays when they discovered the muon in 1936. The discovery of this particle was so surprising that Nobel laureate Isidor Isaac Rabi exclaimed: "Who ordered that?" Only detailed experimental studies of leptons' properties will provide clearest insights into this mystery.